Vaal Prive - Deneysville Accommodation. Vaal Privé is a luxury self catering holiday- & water sports resort just 1 hour outside of Johannesburg on the banks of the mighty Vaal Dam. Vaal Privé's fully equipped villas are made up of luxury 3 bedroom 2 bathroom double storey 300m² establishments able to sleep up to 8 guests each; all with 180 degree views of the dam. Vaal Privé also offers 1 & 2 bedroom options with a total resort capacity of 100 guests. In house Vaal Privé offers great hospitality, daily servicing of all units & facilities. Vaal Privé offers activities from kayaking, sailing, speed boating, skiing, aqua tubing, wakeboarding, parasailing, party & speed boat cruise combinations with onboard braai facilities, a hot tub & bar on our deck overlooking the dam, bicycles, scooters, a swimming pool, table tennis, pool tables, board games, a kiddies corner & an Olympic size trampoline. Vaal Privé facilities include a club house with indoor activities, access to a wedding venue, mini conference facilities, flat screen DSTV, private braai & picnic areas, indoor fireplaces, boat launching, boat storage, WIFI & laundry service. Vaal Privé is only 800 meters from a waterfront amusement park guaranteed to keep the kids busy for hours. Vaal Privé is surrounded by several restaurants as well as horse riding, the largest motorbike museum in Africa, an art gallery that provides workshops, Danika's imported clothing boutique & a crocodile & lion farm. Vaal Privé is 30 km from a casino, 2 golf courses & major cities. The town of Deneysville has great history, & several historical sites & museums can be found here. Located at 37 Ross Street Vaal Privé has 24 hour security & is fully protected from the outside world. Guests will be found relaxing around the pool on deck chairs, having a braai or flexing their fitness in the fully equipped gym. Vaal Privé is not only an accommodation destination but also an activity hub & lifestyle centre. 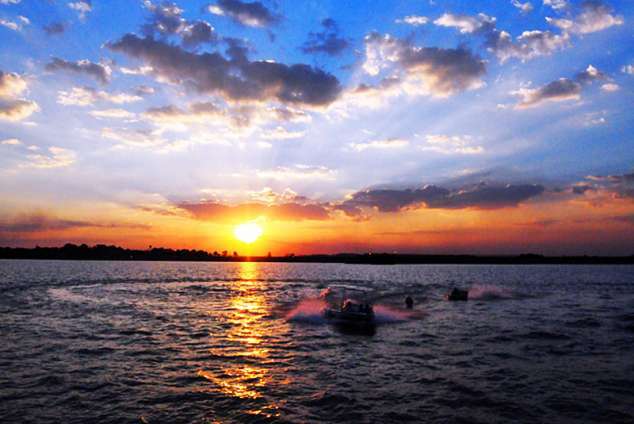 Water sport activities are booked at reception & one of the Vaal Privé SAMSA approved skippers will gladly show you the majesty of the Vaal Dam, be it on a relaxing cruise or a daring speed boat trip. Finishes are of the highest quality & standards are maintained throughout. For a memorable holiday call or email Vaal Prive today. Vaal Privé - its an hour away... Come play! 71982 page views since 29 Sep, 2010. Last updated on 06 Sep, 2018.